Your front door and entry is often the first impression of any home. 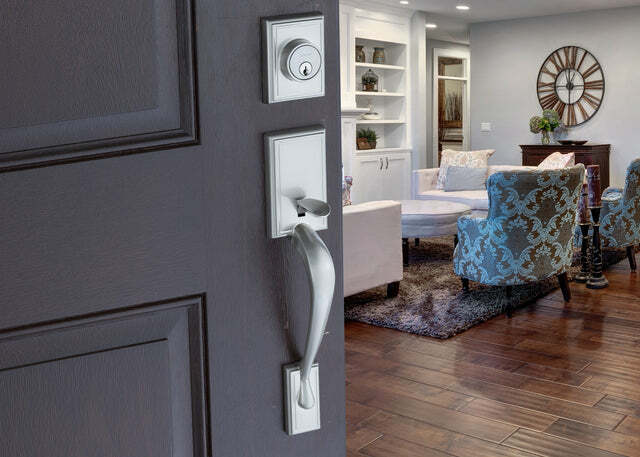 Whether you are building a new home, or simply doing a remodel, this Rustic Modern styled handleset offers the perfect balance between security and affordability. Designed to be reliable and durable, the Satin Stainless from Copper Creek features robust brass cylinders, an exterior made from solid cast zinc, and an elegant FZ2610SS finish that will shine for years to come. Through intelligent sourcing and manufacturing, this Copper Creek Handleset is available at a fraction of the cost of other popular brands. Make this handleset part of your home and see why Copper Creek is truly "Designed For Life"